Our guests enjoy free powerful WIFI throughout the property. In your room, relaxing on the deck or sunning by the pool, you can surf the web, Skype, or check your email. Left the computer at home? Our fireplace lounge has a computer for our guests to use and enjoy. 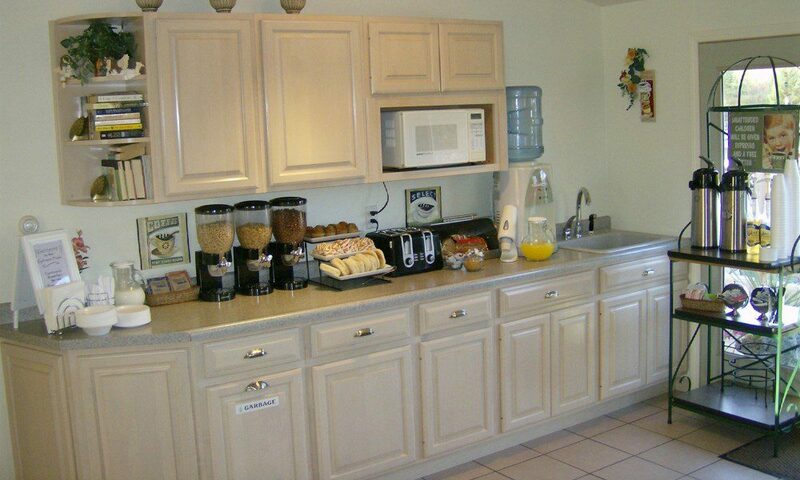 Begin your Door County adventure with a complimentary continental breakfast served from 8 AM to 10 AM each morning. Hot coffee, tea, milk and juice along with cereal, oatmeal, toast, English muffins, assorted danishes and muffins will get you off to a great start! You are welcome to picnic on the grounds. Tables with umbrellas and chairs are located throughout. Want to grill? Great! Gas grills are available for our guests to use. Plan to bring your own utensils, dinnerware and food as these are not provided. Our crystal-clear pool is waiting to refresh you from Memorial Day to Labor Day. Relax in the sun and cool off at your leisure. Tucked away back next to the lounge, our pool area is clean and quiet. Take a nap or read between dips in the 80-85 degree water. 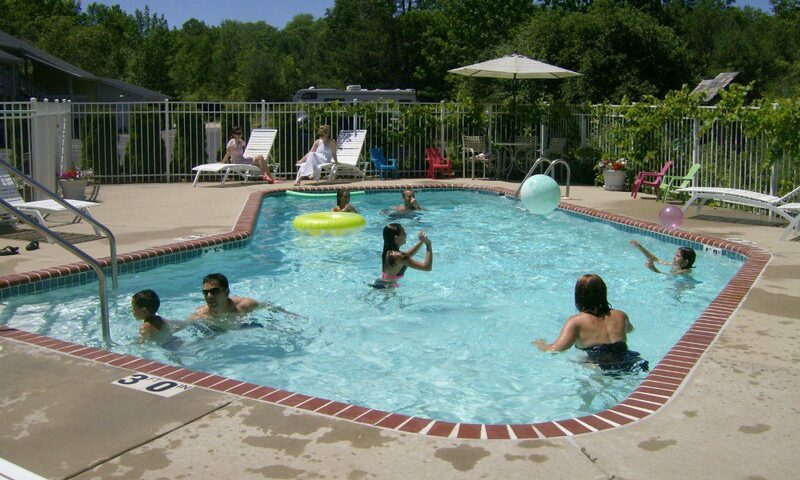 Our pool is a great way to enjoy Door County’s beautiful summer weather! 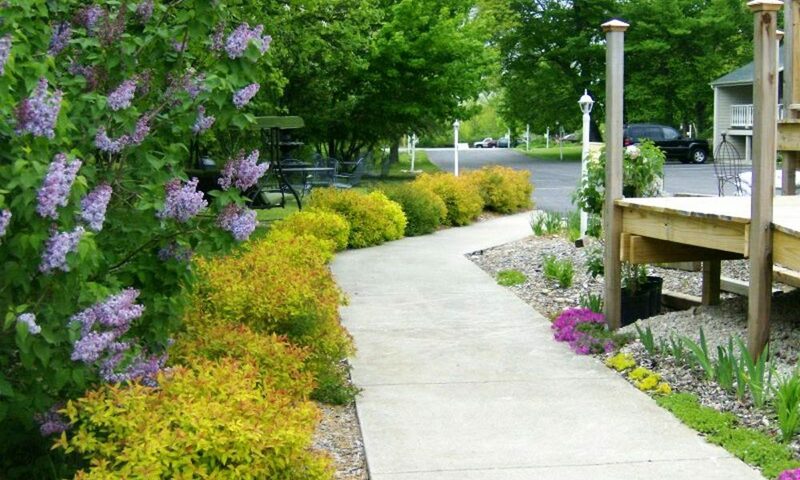 Something is always blooming in the gardens of Ephraim Motel. Hanging baskets, lilacs, lilies, snapdragons and our cactus garden are pieces of a palette changing and growing every day. Pottery and iron findings are mixed into the landscape. 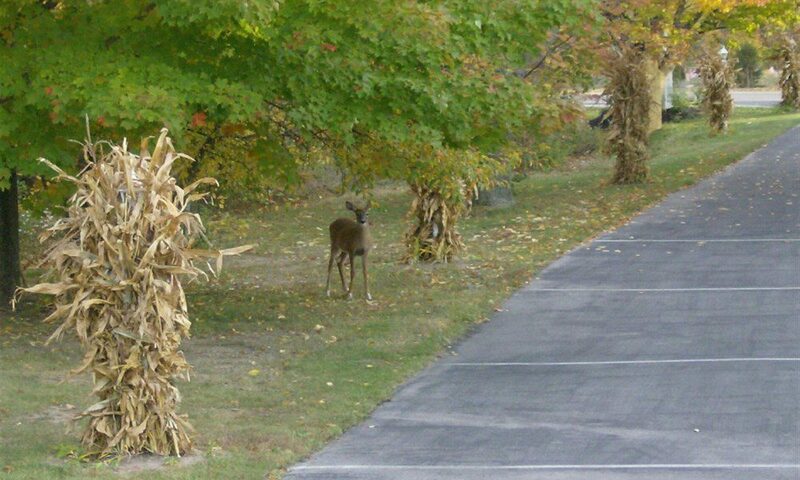 Keep your eyes open for our wildlife neighbors. Hummingbirds will entertain you as friendly chipmunks, deer, and other birds go about their business here at Ephraim Motel. The kids will enjoy our playground and fort. 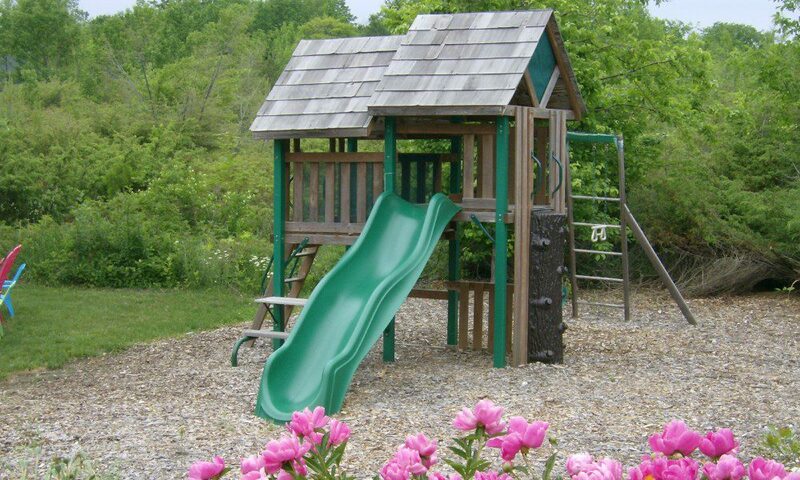 Safe and fun, this is a great place to play or to spend some time pushing the swing for your smiling child. Take a few minutes and play some complimentary yard games. Catch up on your croquet gameand polish your ladder ball skills. Fun for couples or families alike.